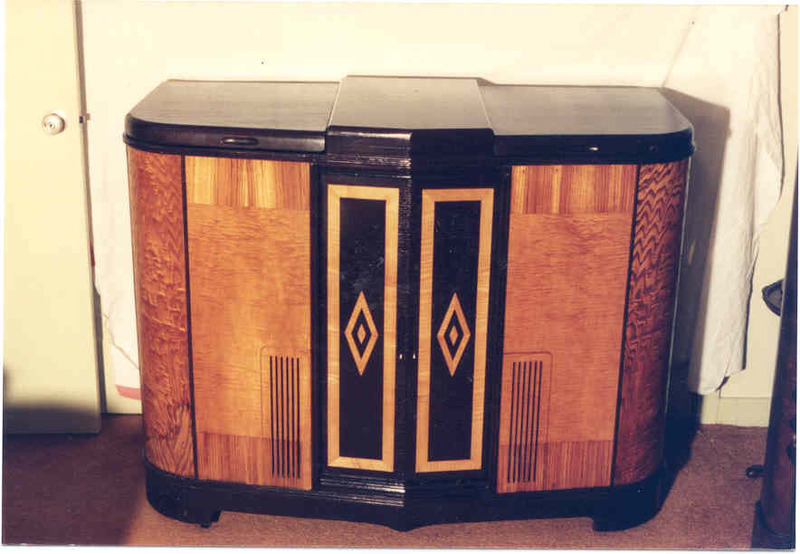 I have always	loved vintage receivers. In addition to Hallicrafters, I	have accumulated some interesting RCAs and other brands. Click on the tumbnail for the full picture. Enjoy! 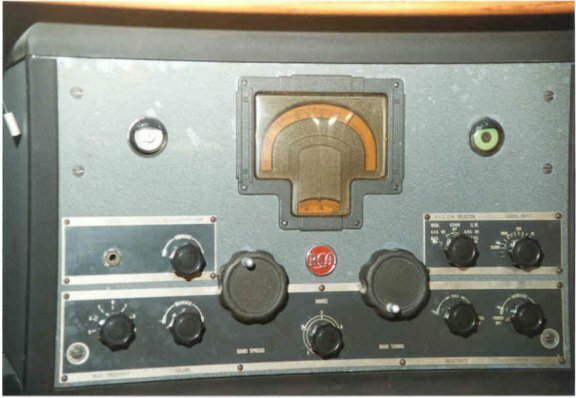 This is a 15-tube general coverage communications receiver built for use in airport control towers. 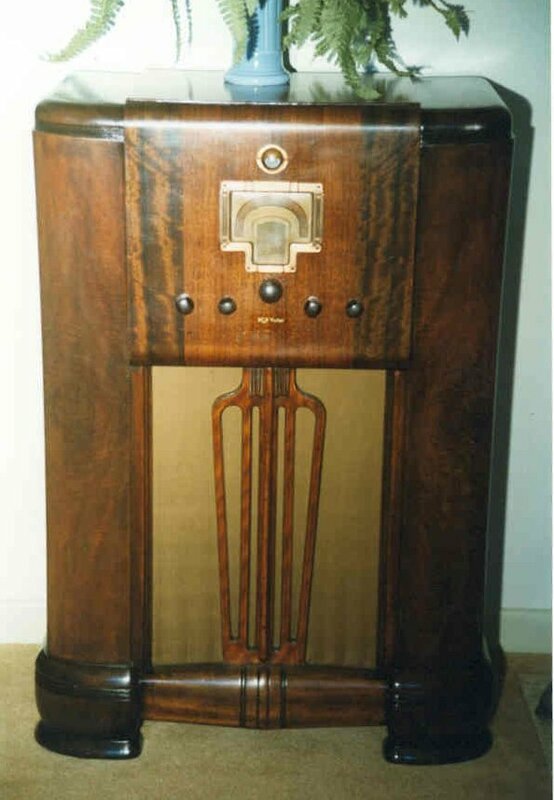 It is from 1935, and has a frequency coverage of 140 kHz to 23 MHz in four bands. 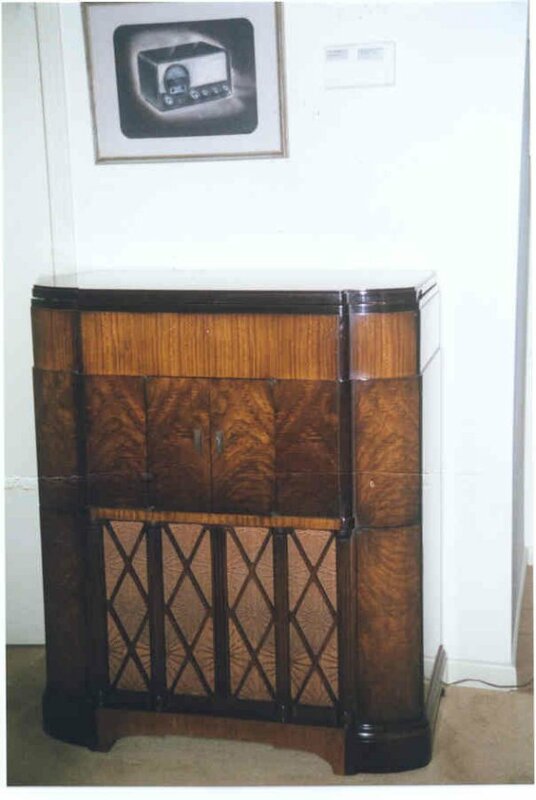 Also shown is its matching speaker. 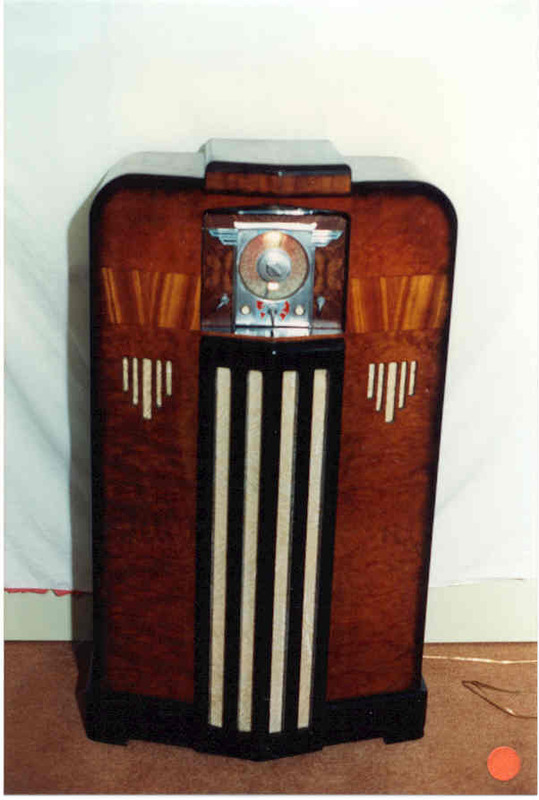 The top-of-the-line, all wave for 1938. 16 tubes and 7 bands, electric tuning (with a motor driven device), push pull 6L6 audio amplifier and a closed speaker compartment with a huge 12" dynamic speaker. It is definitely High Fidelity, and the RF frequency coverage is .540 MHz to 22 MHz in three general coverage bands. There are four "spread bands" for 19, 25, 31, and 49 meters. 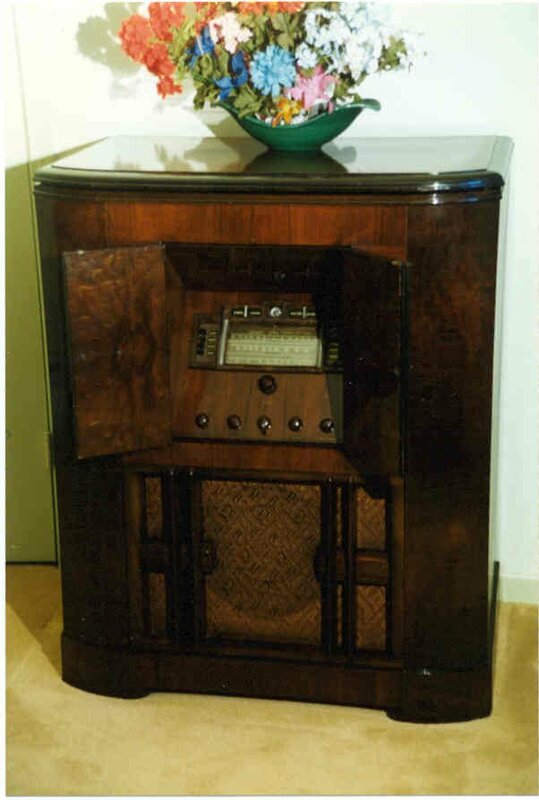 See my 1990 Antique Radio Classified article on the restoration of this big	receiver. 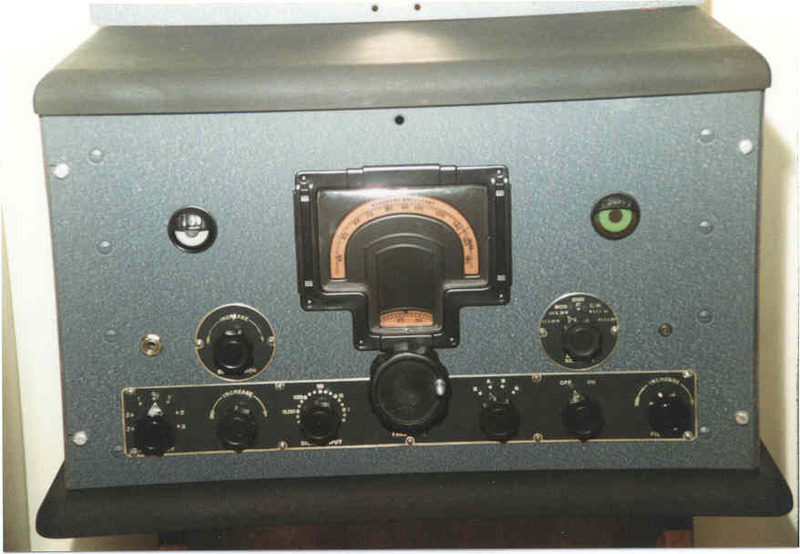 Here is the RCA Model U-109, a unit similar to the 816-K. 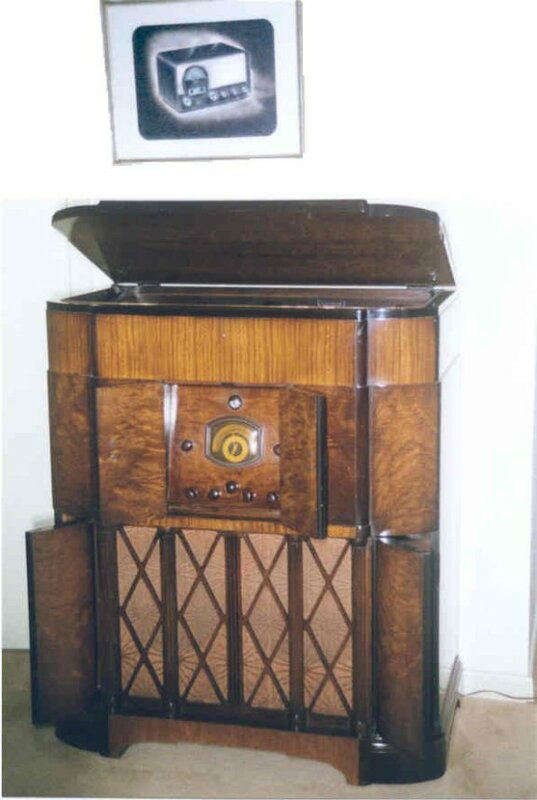 It is a top- of-the-line all wave radio/phonograph from 1938, a single 12" speaker, two 2A3s in push- pull. It has no recording capability, but does have electric tuning like the 816K. The frequency coverage is .540 MHz to 24 MHz in three bands. 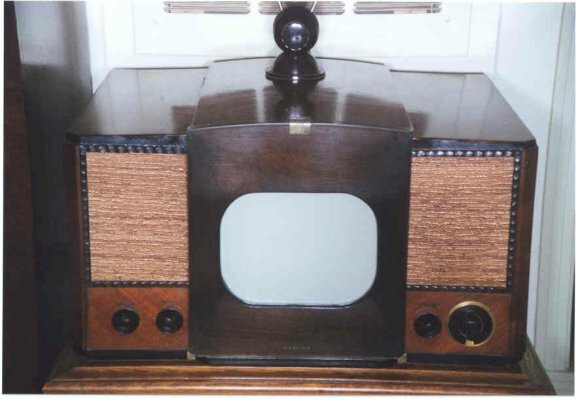 First mass produced television after W.W.II (1946), 30 tubes, a very famous circuit design that was adopted by other manufactures and used as the standard for many years. A 16-tube general coverage amateur communications receiver covering 540 kHz to 30 MHz in 5 bands, with crystal filter, two stages of rf, with band spread. 1936 vintage. 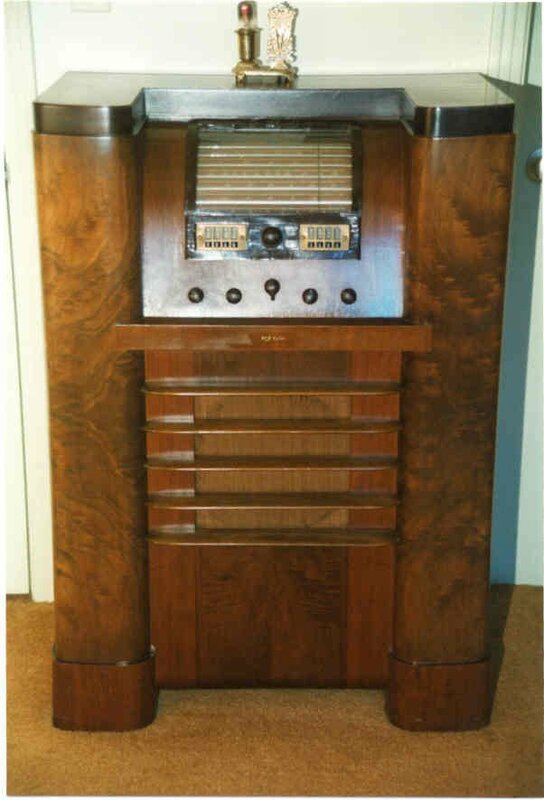 A top of the line 1935 radio/phonograph/disc recorder. 22 tubes, two 12" dynamic speakers, push-pull parallel 2A3 triodes in the final amplifier, all wave reception from 150 kHz to 60 MHz.